Hawaii's Premier Landscaping and Lawn Care Service! 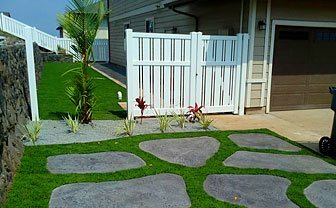 Unlimited Landscape Hawaii LLC is the most reliable and affordable full service landscape and lawn care company in Honolulu, Hawaii. 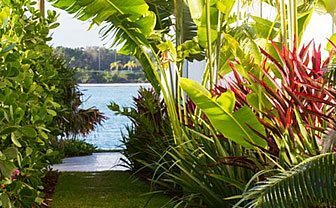 We have extensive experience in the lawn care business, and are proud to serve residential and commercial properties throughout the island of Oahu. We offer a variety of landscape, lawn services, fencing and concrete work to suit each clients' individual needs. Our companies strive for excellence and commitment to customer satisfaction provide the foundation for our business and work ethics. Thus, producing excellent work and satisfied customers. 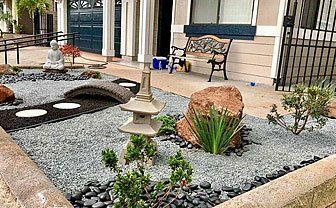 At Unlimited Landscape Hawaii LLC, it is our goal to provide you with a wide range of landscape and lawn services to suit your everyday lifestyle. Our knowledgeable staff is available to assist you with all aspects of your landscape project. We will work one-on-one with you to discuss your design ideas and create a landscape plan to bring your vision to life. Whether you are a contractor, architect or homeowner, we are delighted to assist you in every way. Call today to speak with one of our friendly staff members, and schedule your Free estimate!
" I recently called your company to help me with revamping my backyard. I must say that I am so pleased by the finished product. I love how easy it will be for me to maintain in the future. Thank you for being so helpful! " 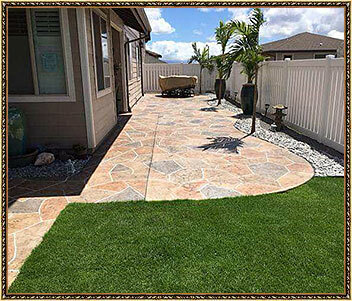 With over 15 years in the lawn care business, Unlimited Landscape Hawaii guarantees our clients' professional services and 100% satisfaction guaranteed. To ensure our clients receive the highest quality in landscape and lawn services, we employ licensed and certified trained professionals with years of experience in the landscaping industry. Customer service is our top priority, and we strive to provide you with the highest level of customer care. We understand that each client is unique, so we will take the time to work with you and give you the attention your lawn project requires. Our professionals will work hand-in-hand with you to actualize your ideas and create a landscape specific to your individual taste, lifestyle and budget.